At many places in India, electricity supply is very poor and sometimes, people face hours of long cuts. In summers, this situation becomes even worse with increase in demand of electricity as compared to less production of electricity. Therefore under such situation, many people find it very hard to charge their essential electronic gadgets like mobiles, tablets and Mp3s. Mobile phones have deeply penetrated in India thanks to mobile revolution which took place few years back. Here even in remote villages, we can see people using mobile phones. Mobiles have emerged as main source of communication for all Indians living across India. We all know that mobiles are required to be charged regularly with electricity so that they can work properly. At least, you need a single full charging daily of your mobile to use it for whole day. All mobiles need electricity to get charged and if there is no electricity then it is very hard to charge a mobile. Long cuts of electricity can make this problem even worst. Now an environment friendly solution for mobile, tablet and other electronic gadgets is available in the form of solar chargers. 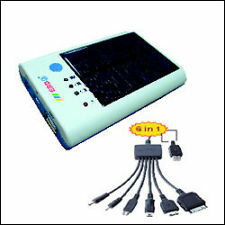 In market or online anyone can find many such solar chargers for mobiles and similar devices in range of Rs 800 to 3000. Solar charger is solution to all worries of mobile charging at any place and at any time. Most of these solar chargers come with inbuilt storage battery which gets charged when you place solar charger under sun. 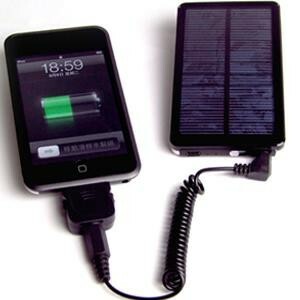 After solar charger’s battery gets fully charged you can use it to charge multiple mobiles, tablets or mp3s at any time. Solar chargers offer a great and green solution to electricity problem faced by billions of people across the world. Solar chargers are very important for people who constantly move to remote parts where there is no certainty of electricity. 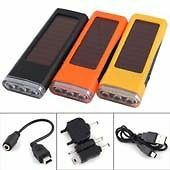 Solar chargers can act as self charging power banks which only need direct sun light to charge them. In India where grid electricity can betray you anytime, solar charger is must for every person. Whatever be the condition of electricity, you will always generate your electricity yourself for your mobile devices. All devices based on solar power generation are need of time because they help in creating a green and affordable energy with ease.